Mummy has her “seasons” of favorite foods. Currently she’s into pumpkins, and every week we’d pick one up from the grocery store. 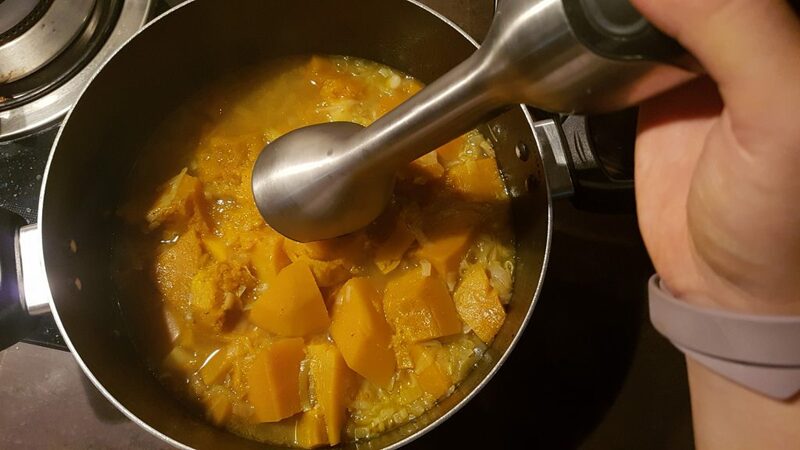 Kak’mbang has tried making all sorts of stuff with it, from sayur labu to pengat to bingka, and most recently delicious pumpkin pudding. Mummy requested sayur labu every day, then got sick of it and moved on to pengat, and got sick of that one too. She loves the bingka and the pudding, but these are desserts and Kak’mbang wanted more savoury options. 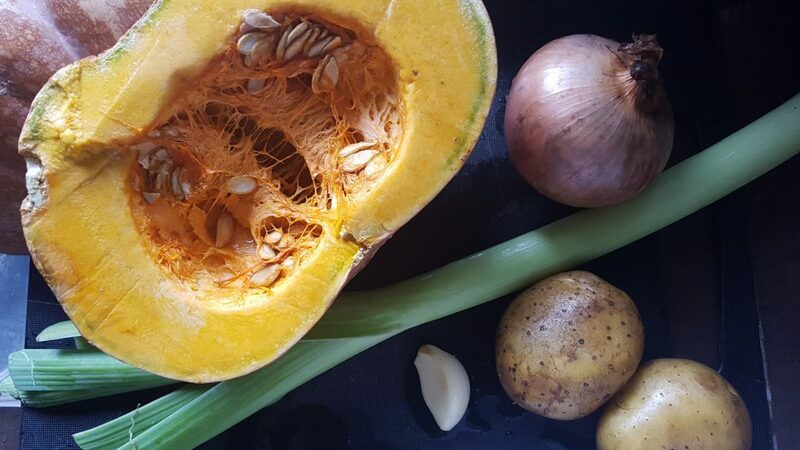 This was where I came in, and I offered to make pumpkin soup. I looked through several options on the Internet, and found this one to be most interesting. I’ve tweaked it here and there as always, using readily available ingredients and spices in my pantry. 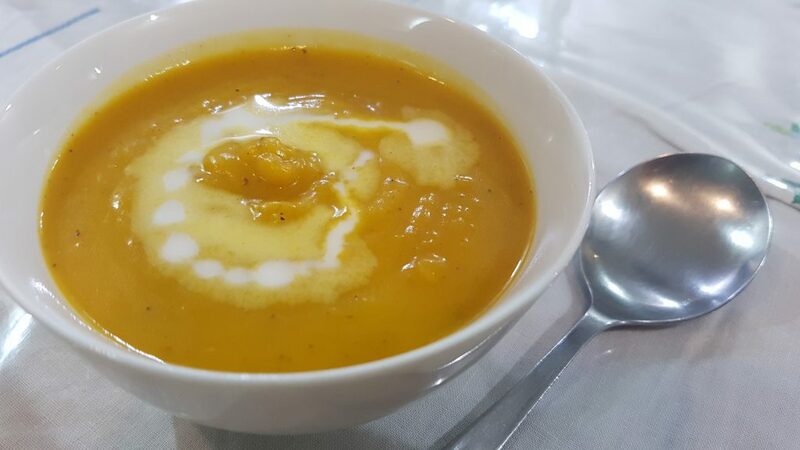 The end result was a hearty, flavorful soup, a comforting dish which would have been excellent served with crusty bread. I might use about 50% more chicken stock cubes next time and adjust the salt quantity accordingly, for even more oomph. 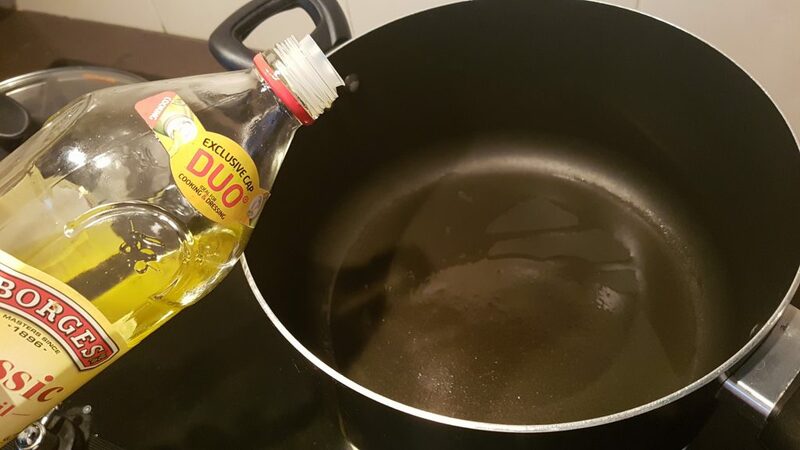 In a large pot over medium heat, heat the oil. 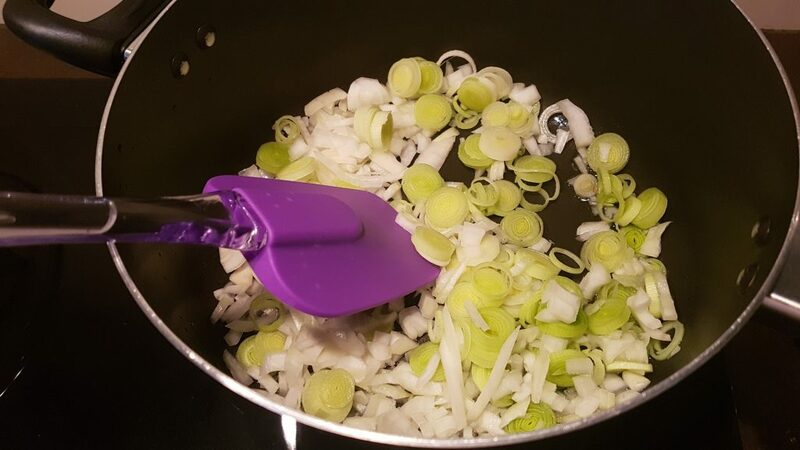 Add the onion and leek and cook, stirring, until soft but not browned, 2 to 3 minutes. Add the garlic, coriander, cumin and nutmeg and cook, stirring, 30 seconds. 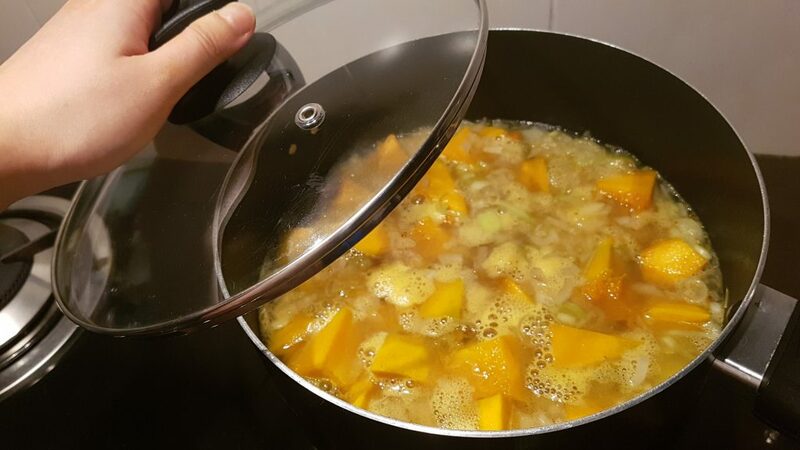 Add the pumpkin, potato, chicken stock cube and 1 liter water, turn up the heat to medium high and bring to a boil. 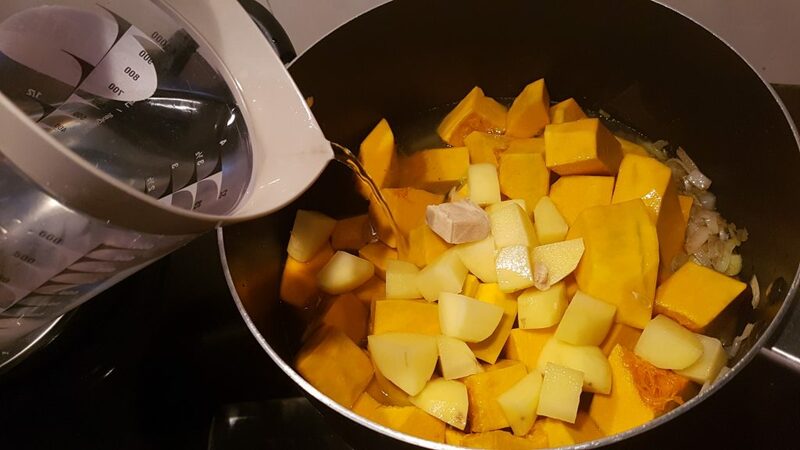 Reduce heat to low, cover and simmer for 30 minutes. 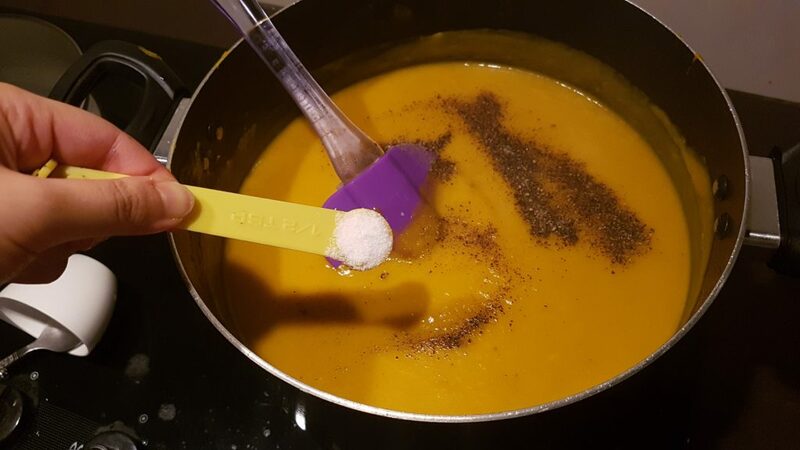 Allow to cool slightly, then blend using a stick blender if available, or in batches in the food processor. 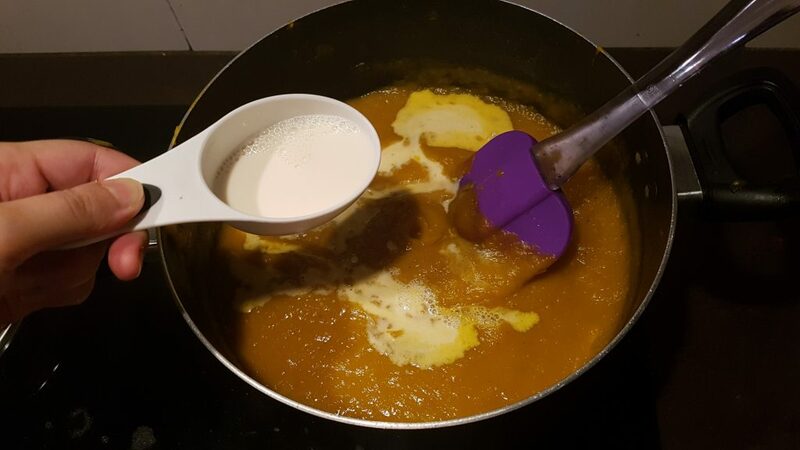 Return the soup over medium heat, and stir through the milk. 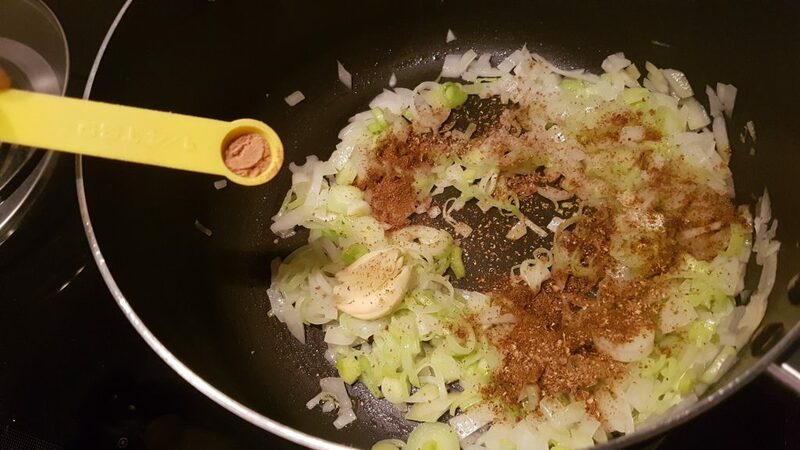 Season with salt and pepper, and add a little more nutmeg if desired. Serve immediately, with a side of warm crusty bread.